Dr. Gary G. Cohen is a professor of Biblical Studies at Trinity International University-South Florida Campus (formerly Miami Christian College), where he teaches in the evenings in the Excel and graduate programs. He is President Emeritus of Cohen Theological Seminary, Torrance, California and Seoul, Korea, and a visiting Lecturer here at SFBC&TS. After graduating from Temple University of Philadelphia with a BSEd, he taught high school biology and chemistry at Philadelphia’s Germantown High School, and physics at Shelton College, Ringwood, NJ. He then graduated from Faith Theological Seminary, Mdiv and STM, and received the ThD from Grace Theological Seminary, Winona Lake, Indiana. In 1989 the LittD was conferred upon him for his writings, including Hosea-Amos, Understanding Revelation,The Horsemen Are Coming, and Weep Not for Me. Articles by him appear in Zion’s Fire and other periodicals. Dr. Cohen was one of the translators of the New King James Bible, and did editorial work on the Red Letter King James Bible, and contributed articles for the Christian Life Bible and the Kirban Prophecy Bible. His articles on Hebrew and Greek words appear in the Old Testament Theological Word Book and The Complete Bible Library. Dr. Cohen is a retired Army Reserve Chaplain (COL), and a graduate of the USAF Air War College. 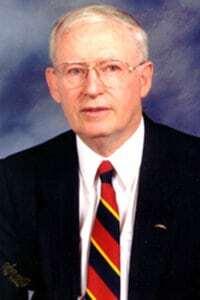 He also served as pastor of two churches, and as president of Graham Bible College and Clearwater Christian College. In 1994, with the help of his family, he built the prototype for the Model of Jerusalem now housed in Orlando, FL at the Holyland Experience. He has led tours to Israel, Jordan, Greece, and Egypt and has been a popular church and conference speaker, speaking in Miami, Los Angeles, Nashville, Seattle, Lima Peru, Sao Paulo Brazil, and Seoul Korea.